Can Gender explain women’s involvement in terrorism? What makes a woman jeopardize the lives of her children and engage in violent extremism? The most common answers claim she is weak, manipulated or brainwashed. But these are superficial explanations rooted in sexist interpretations of the roles of women, especially in patriarchal societies of Islamic heritage. There are many more layers to dig into to understand what drives women into the “manly” world of terror. Amel Grami, the renowned Tunisian academic and intellectual expert in religion and women’s studies, has been reflecting on the matter for years. 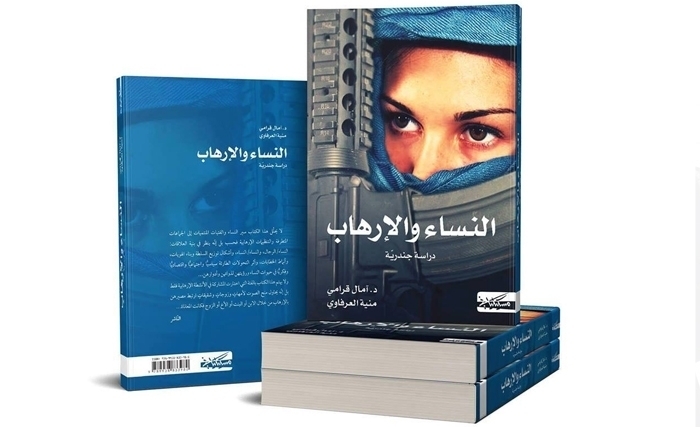 A book in Arabic entitled “Women and Terrorism: A Gendered Study” provides her findings in a joint venture with journalist Munia Arfawi who undertook the field work and interviews. The book is a mixture of serious research and investigative journalism. Grami involved Arfawi to aid her in the final phases for security reasons after receiving death threats in 2016. As a journalist myself, I define my profession as storytelling with the utmost accuracy requiring primary source research and rigorous fact checking; thus I believe that academics and journalists should be working more as partners. This book is the best proof. While it is mainly about women’s involvement in terrorism, it provides sound explanations of what drives frustrated Muslim youth, males and females, to radicalization. “The lack of knowledge of the Islamic history and culture,” says Grami, “reduces the message of Islam to the possession of a sword and a gun”. Many of the young recruits are new converts and their religious information is derived from manipulative posts on social media. To young recruits “a rap song with religious content is more important than Friday’s sermons. This is “Pop Jihad”, a salvation and repentant lifestyle after years of alcohol and drug addictions, especially among third and fourth generations of Muslim immigrants in the West. “Although Taliban, Boko Haram, Al-Qaeda and Youth of Mohammad didn’t provide developmental projects and clear political visions, they provided a safe psychological haven for thousands of deprived and underprivileged youth, and transformed those males and females from fragile people on the margin of society to active persons. Furthermore, ISIS produced “visual Islam”. They published high quality violent movies, a horrifying but appealing substitute to the Hollywood representation of white dominant men in action thrillers. They also had segments solely targeting women. Grami critically explored the various methodologies used in explaining women’s involvement in violence, from feminist international relations studies to third world feminism and post-colonial studies. This book examines various women; those whose family members turned into armed terror and many joined them; those living under the reins of fundamentalist groups, many of whom are foreigners; the women suicide bombers and fighters; and those promoting violence and looking for recruits on social media. With few exceptions, these women are aged between 16 and 35 years old. It is worth noting that, in the Tunisian context, many women terrorists had university degrees and rewarding jobs. These women were not subordinates to men in fact some recruited males. Grami acknowledges that feminists and activist role models, and she is one of them, have lost contact with those young women, and calls for a critical review of the discourse of Arab feminism. Her work could be a starting point. The book also discusses how fundamentalist groups perceive women. Al-Qaeda and Taliban didn’t use women in battle fields, until the rise of Abu Musab Al-Zarqawi as the al Qaeda leader in Iraq in 2003, that paved the way for the formation of ISIS. In 2005, Al-Zarqawi called upon women to take an active role in jihad, marking a shift in ideology and the beginning of a rise in women suicide bombers in Iraq. Years later the theological mentor of the Tunisian Ansar Al-Sharia issued a fatwa legalizing “migration to Jihad” without a male chaperone. ISIS relied on women; for example, the Al Khansaa Brigade of ISIS in Iraq, is an-all women group tasked with “raising religious awareness for women and punishing those who do not abide by the law”, as described by an ISIS official in 2014. The Al-Khansaa Brigade practiced preaching and recruitment as well as fighting, torturing and kidnapping. Naïve romanticism was used to recruit Western adolescents looking for a real-life Robin Hood or a bearded charming prince. As few Arab researchers dare to study the gender dynamics inside fundamentalist groups, fearing to challenge the patriarchal social structures, some feminists see women’s involvement in terrorism as a twist in the traditional gender system leading to the rise of a new hegemonic femininity. To that Grami critically replies: “Is violence a means to liberate women and empower them? Is equality achieved by killing”? Is the militarization of women in ISIS a simulation to their roles in the Kurdish factions? Thus, is women’s involvement in terrorism a political act symbolizing equality, power and agency? In an attractive narrative and objective style, Arfawi profiles “the terror princesses”. Fathiyah Al Hassni joined ISIS in 2015 at the age of 50. This Moroccan once embraced feminism, but later lost her job because of wearing the hijab, and this became a turning point in her life. Her husband fought in Bosnia and took her and their children to Afghanistan and Saudi Arabia. Fathiyah was imprisoned in Riyadh with one son while the other was killed in a military operation with his father. The boy was a thirteen-year-old child fighter. Some women are well known to the media such as Malika El-Aroud whose first husband assassinated Afghan military leader Ahmad Shah Massoud two days prior to the 9/11 attacks. She was known as a high-profile advocate and an inspiration to women jihadists because of her writings. She was found guilty, along with her second husband, by a Swiss court for supporting extremist organizations. Also well-known are Hasna Ait BoulHacen and Hayat Boumeddiene. Hasna, the cousin of Paris attacks ringleader, died at the age of 26 in a police raid on a flat in Saint-Denis in November 2015, and the Moroccan authorities refused to take her body back to bury it. Hayat, the most wanted woman in France, managed to escape France to Turkey and was last seen in Raqqa. Iman and Sanaa Lgress were among the world’s youngest terrorists, driven to violent extremism after a miserable childhood in Rabat’s most underprivileged neighborhood. Their mother was a street beggar and the father unknown, so they saw in Ossama bin Laden a fatherly figure. Iman was brutally raped by her grandfather’s friend. Shortly afterwards a prominent Salafi sheikh recruited the twins to attack the Moroccan parliament. They were arrested at the age of thirteen. In their case, however, there was a happy ending. The sisters received a royal pardon in 2005 and went on to study hotel management. Mehreziah Ben Saad was an English literature teacher whose husband was a Tunisian fundamentalist and used her as human shield in a police raid on their home. She died at the age of 25 in front of her infant daughters. Her memory has since been turned into a story and misused to incite hatred and revenge. In contrast, Asma Al-Bukhari used her son as a human shield. She held him in one arm and fired on security officers with the other. Similarly, Fatima Al-Zawaghi was not a victim. As the first woman entrusted with sensitive tasks within Ansar Al-Sharia in Tunisia, from monitoring social media to issuing orders to the organization’s cells after Tunisian authorities imprisoned its leaders in August 2013; she became the de-facto ruler of the terrorist group until her arrest in 2014. She is currently behind bars and shows neither repent nor regret. By narrating these stories and many others, the book is indirectly tracking the rise of Ansar Al-Sharia after the Tunisian revolution. “Salafi and Jihadi publications were available on the streets across the mosques… and martial art fighting taught there,” writes Grami. Some of the recruitments happened in odd places such as hospitals, funerals and prisons. The Ansar Al Sharia group held its first conference in May 2012 and was acknowledged as a movement then. Unfortunately many of the fundamentalists, males and females, mentioned in the book got recruited or radicalized at the event. Female members were the first to “migrate” to Syria where Al-Khansaa Brigade had a Tunisian leader. Arfawi narrates the outcomes of her interviews with terrorists’ female relatives. For a reader it can be difficult not to sympathize with a mother unable to believe her shy son has killed tourists in cold blood. That same reader can come close to bursting in tears with the heartbreaking story of a sixteen-year-old shepherd, who was beheaded by terrorists. Both were poor boys and very fond of their mothers. “My son is not a terrorist; he is just a teenager who got manipulated and deceived,” says a mother who cannot accept what her son did. Another desperate mother informed the authorities that her boy intended to join a fundamentalist group in Syria. She admits the society is harassing her, “but what shall I do, I cannot hate him”. According to official numbers, around 15000 young Tunisians fled the country to Libya and Syria. Tunisians are intolerant of fundamentalists and their family members. But should a mother be denied medical care in reprisal for her son’s crime? Arfawi echoes Grami’s intellectual concerns and wonders in her narration how “good children (younger than 18) could turn in days span to suicide bombers”. This is a dilemma that every policy maker, religious preacher and parent should think about. It affects each of us. How would we reply? Grami does not claim to have found clear cut answers; rather she describes her research as a “first step” towards “more explorations in setting the foundations for terrorism and violent extremism studies from a gender perspective”. She says there is no single formulaic description that could apply to Palestinian women, Chechnyan freedom fighters, the members of ISIS’s Al-Khansaa Brigade or the Westerners joining the “Islamic State land”. Gender was rarely the focus of research in exploring violent extremism and its political context in Muslim majority contexts. It gained more traction after the 9/11 attacks and global war on terror when the concept of “Gender and Extremism” emerged. Moreover, in countries with Islamic heritage, gender remains a suspicious Western concept not taken seriously in policy making and academic research. 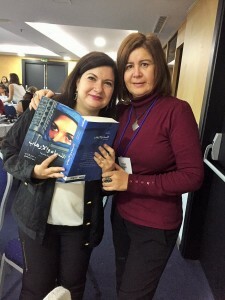 Sawssan Abou-Zahr is a Lebanese journalist, editor and consultant. She covers issues related to the Arab Spring, women, Syrian and Palestinian refugees, radical Islamist movements; Afghanistan, Pakistan and Iran. 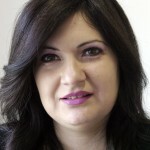 She has written features on human rights issues and peacebuilding in emerging democracies in war torn countries based on field research in Afghanistan (2005 and 2009) and Libya (2012); and has worked with Women Human Rights Defenders and local peace builders in Lebanon and in the MENA region. Sawssan took part in most of ICAN’s forums since 2013.